Rye bread is amazing, and it's even better when it's homemade and right out of the oven! Yeah it's filled with plenty of carbs, it's bread after all, but this recipe at least substitutes butter for Smart Balance vegetable oil spread to cut down on saturated fats while increasing Omega-3 fats. Enjoy the frugal feast ballin bread in moderation or if you're carbo-loading! Place all ingredients into bread machine using whole wheat bread Dough setting. Remove dough from machine, shape loaf and place into lightly grease bread pan with lid. Let rise 1 hour. Bake at 350 degrees for 35-40 minutes for a 1lb loaf or 40-45 minutes for a 1.5-2lb loaf. Remove from pan and cool. Store the bread in a tightly sealed container or serve to your hungry guests like bread-loving Oprah! 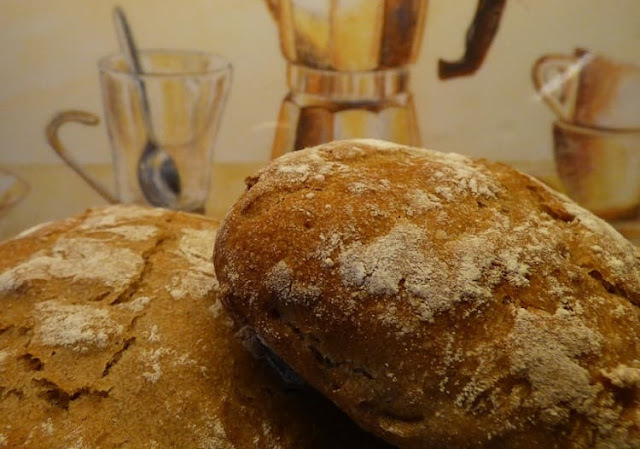 I hope you enjoyed this free healthier frugal recipe for homemade light rye bread on a lean budget.